Justin Hall is in Lagos, Nigeria, to handle the exchange of a Canadian diplomat who has been taken hostage for ransom by local rebels. The dangerous exchange goes sideways, and Justin wonders if he can trust his team. He turns to an old asset, a woman working for the Nigerian National Petroleum Corporation. With her help and after the arrival of Carrie O’Connor, Justin’s partner in the Canadian Intelligence Service, they discover the unexpected truth about the diplomat’s kidnapping. With time running out and no one else to turn to, Justin and Carrie are thrust into a game of shadows as they devise a clever plan to turn the tables on the kidnappers. Ethan Jones, #1 Amazon’s Bestselling Writer, delivers a heart-stopping thriller that will keep you at the edge of your seat and enthrall you until the very end. 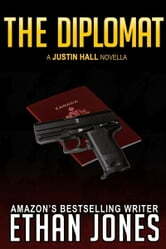 The Diplomat is a novella of 112 pages in this best-selling series with hundreds of five-star reviews and thousands of sales and downloads. Each book is a self-contained story without cliffhangers and can be enjoyed on its own. 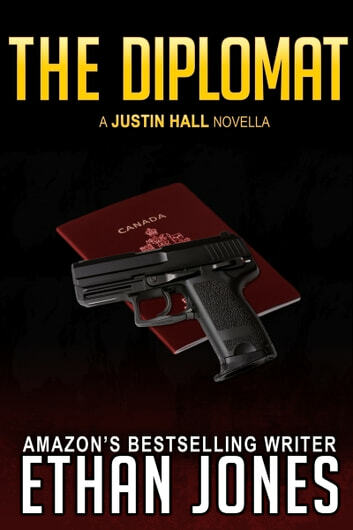 If you like Baldacci, Fleming, or Flynn, you’ll love The Diplomat. Scroll up, click/tap, and get lost in the fast-paced world of Justin Hall now!